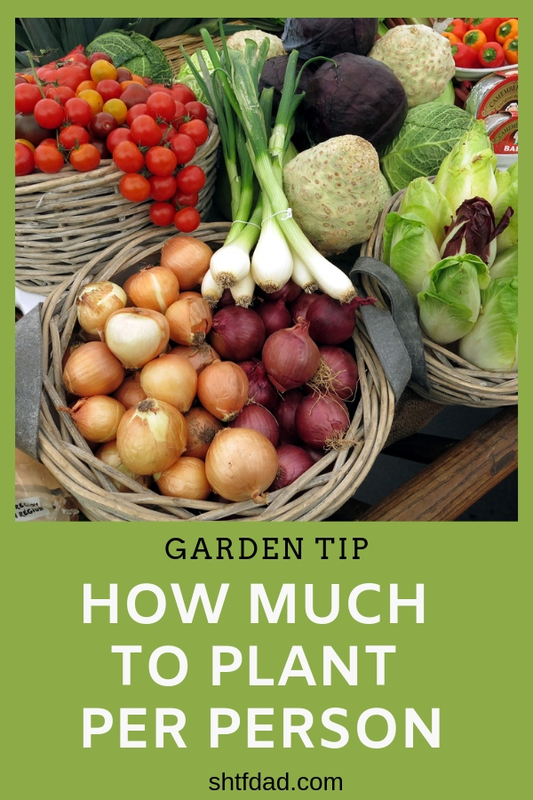 Home / Food / Garden Tip: How Much To Plant Per Person? 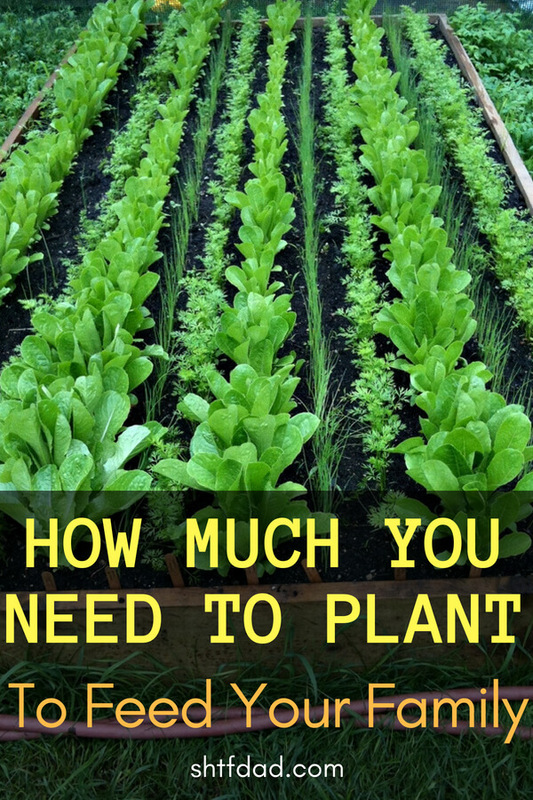 Are you wondering how much to plant per person to feed your family? It doesn’t have to be complicated. 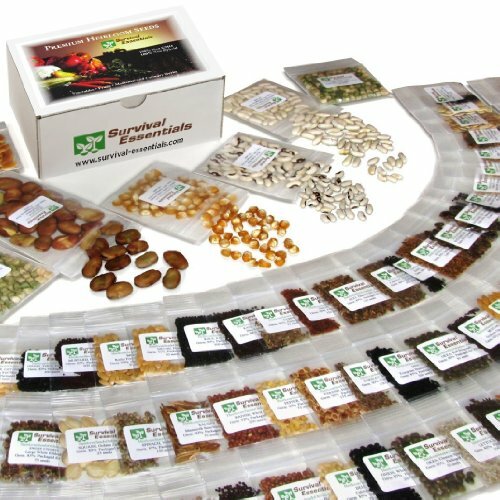 See how many seeds/plants you need if you want to feed your family fresh produce during the growing season. And if you want to preserve some, to last the rest of the year, you need to plant quite a bit more. 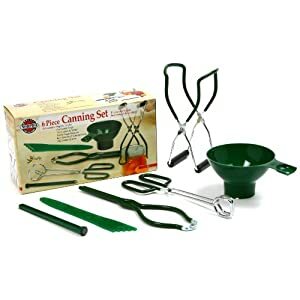 Norpro Canning Essentials Boxed Set, 6 Piece Set How Much To Plant Per Person? 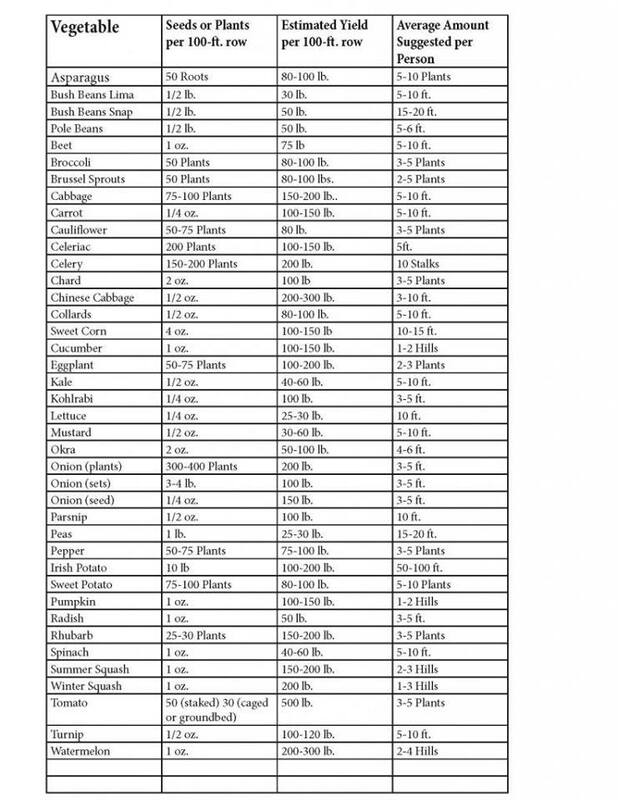 The chart below gives you a good idea of how much you need to plant to feed your family for each plant and seed you will need. This is per person, based on picking and eating them fresh. If you plan on canning or freezing your veggies to get through the winter months, you will need to plant more. I would suggest you multiply the amount list by 4 if you plan to also can. 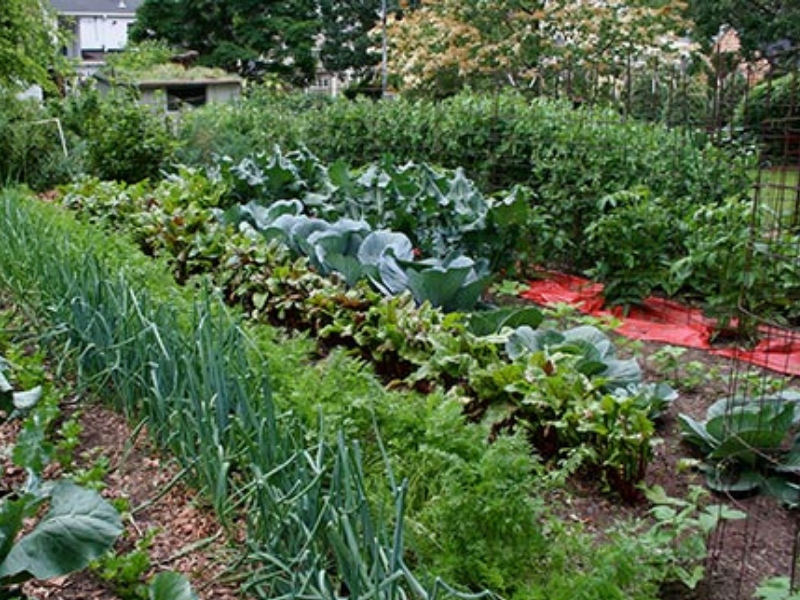 Seeds or plants per 100-ft. row is the recommended amount or number to use for proper spacing and growth. Estimated yield per 100-ft. row is based on optimum growth, so it could be different from Family to Family. Use the chart above to calculate what YOUR family needs. We love cooking with onions, so we plant double the amounts in this chart. It’s easy to increase or decrease the amount of food you produce, depending on your family’s preferences. Don’t forget to try one or two new crops each year. For example, we’re going to try okra this coming year. We use it from the freezer section and love it. So, why not grow our own? 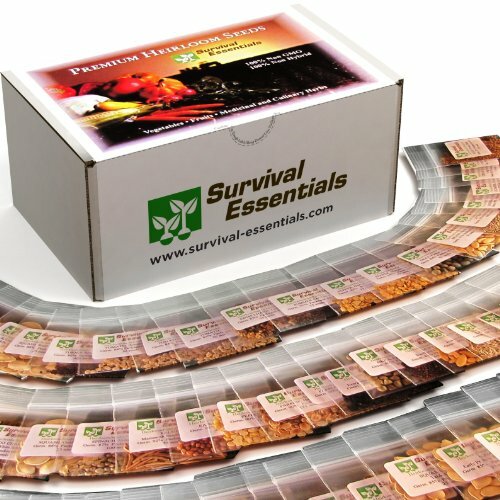 If you are interested in great seeds that I have personally used over the years here are some links for you to look at. 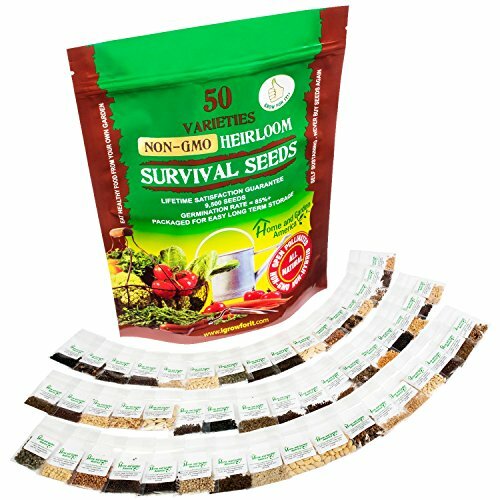 Heirloom Vegetable Seeds Non GMO Survival Seed Kit – Part of Our Legacy and Heritage – 50 Varieties 100% Naturally Grown – Best For Gardeners Who Raise Their Own Healthy Food Survival Seed Vault Non-GMO Hardy Heirloom Seeds for Long-Term Emergency Storage – 20 Variety Pack in a Sturdy Can Survival Essentials 135 Variety Premium Heirloom Non Hybrid Non GMO Seed Bank – 23,335+ Seeds – All In One Super Value Pak…Veggies, Fruits, Medicinal/Culinary Herbs – Plus 9 FREE Rare Tomato Varieties. 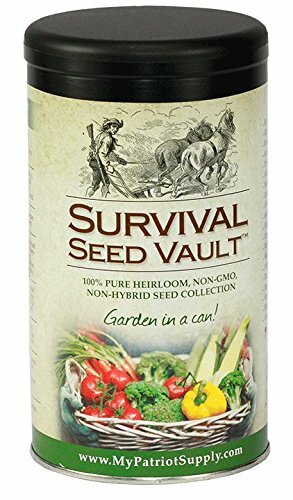 Survival Essentials 100 Variety Premium Heirloom Non Hybrid Non GMO Seed Bank – 17,880+ Seeds – All In One Super Value Pak…Veggies, Fruits, Medicinal/Culinary Herbs – Plus FREE Microgreens Kit.